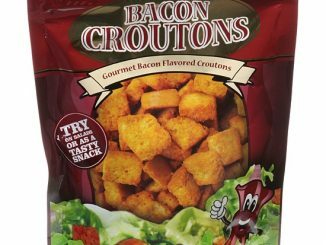 I don’t really understand why so many products are being released to satisfy the ultimate bacon aficionado’s taste buds. 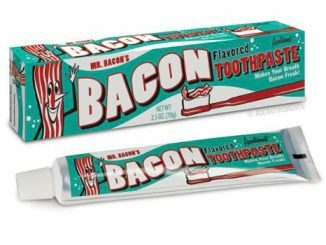 We’ve already got the Bacon Wallet to hold their cold hard cash and the Bacon Toothpaste to keep their mouth tasting like bacon when you’re not eating some bacon. 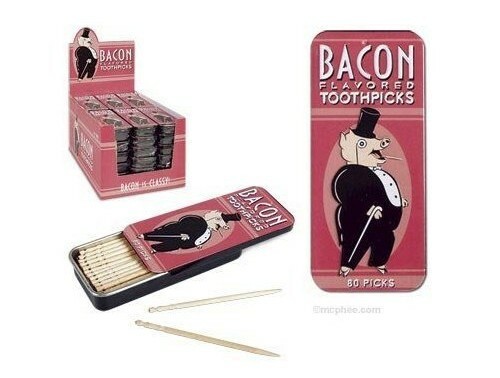 Now how about some Bacon Flavored Toothpicks to pick out those stray specks of bacon stuck in between your teeth after each and every porky meal? 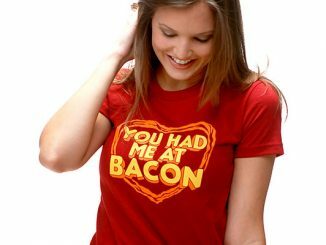 Personally, I love bacon. 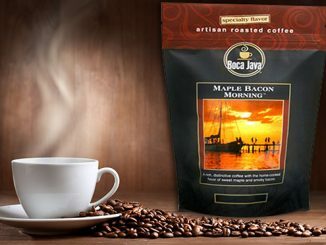 If I could eat it every morning and not suffer any dire health consequences, then I would; but we all know that’s not really the case. 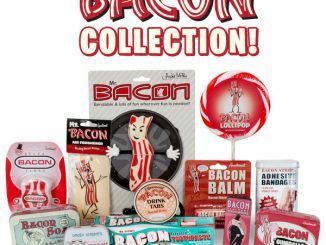 Until my dreams of gorging on bacon all day and in every meal come true, at least I can surround myself with bacon-scented and bacon-flavored goodies to tide me over. 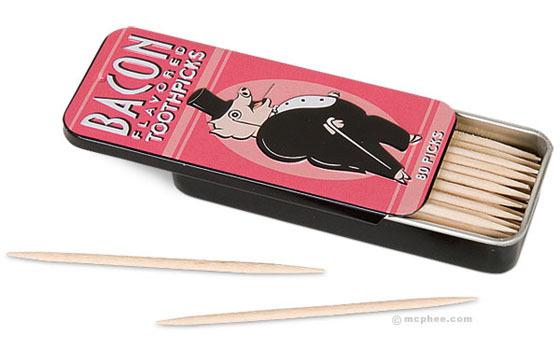 If you love bacon, these bacon flavored toothpicks are just the thing for you! 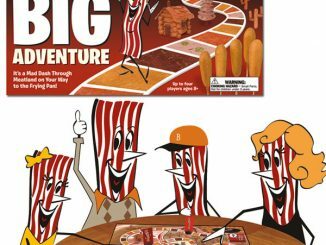 These slender sticks of wood are generously infused with the unmatched, drool-inducing flavor of bacon. 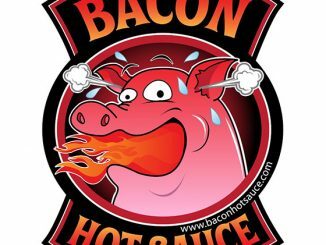 Each tin contains eighty toothpicks. 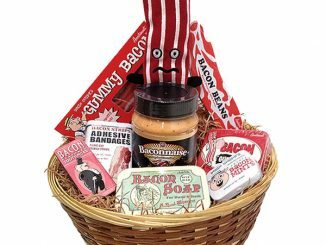 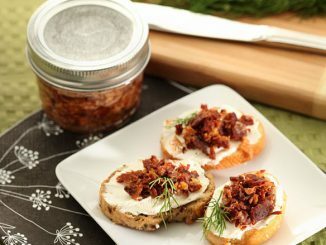 Get it for yourself or as a gift for the bacon lover in your life! 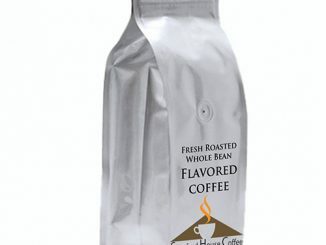 Comes in its own tin with a slide-off lid. 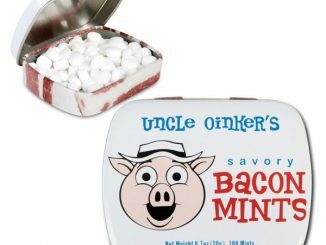 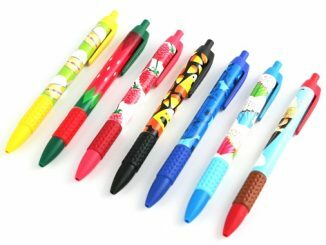 The Bacon Flavored Toothpicks are packed in a decorated tin and are available from Amazon.com for $3.84.